This is how ‘Strictly Come GEO bar’ was born! 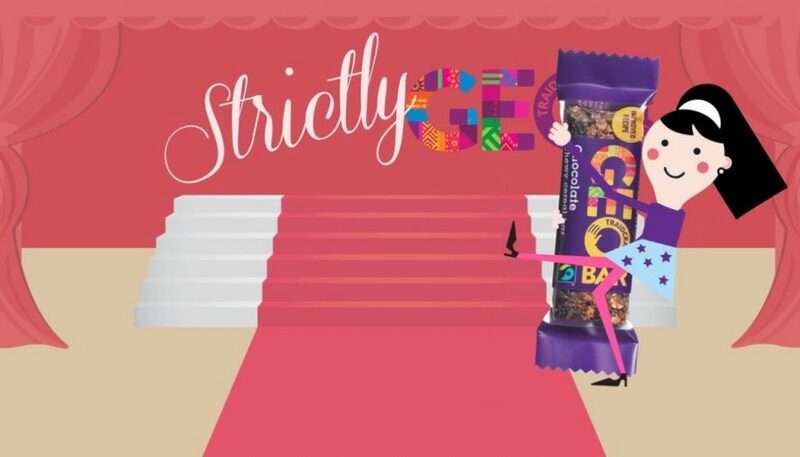 Traidcraft needed a promotional animation and online marketing campaign for the new flavours of their GEO bar. Coinciding with the TV show, our team designed fun, vibrant and heart warming 2D cutout style characters that danced with the 3 new GEO bars! In addition, viewers had a chance to vote for their favourite flavour and win a box of GEO bars.